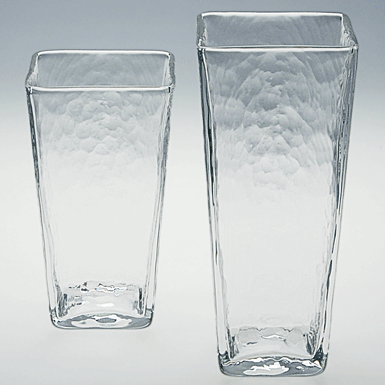 Square vases with the typical Glasi-glass structure. Simple shapes enhance any flowers. Mouth-blown intp a mould with flamed, smooth and irregular rims.